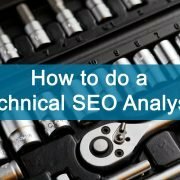 You are here: Home / SEO / What is a technical SEO Report? A technical SEO report is a crucial piece of documentation when a customer is presented for the possible optimization points on their website. A technical SEO report typically contains an analysis pointing out the flaws in the website that can be optimized. The analysis is usually done using the Screaming Frog Spider tool. If you aren’t familiar with using mentioned tool, we have written a guide on how to use the Screaming Frog tool. Furthermore the technical SEO report is always shown in extension of an Excel sheet which contains all the important tabs from the analysis. The technical SEO report is regarded as an optimization-manual, where we have written our recommendations as well as tips and tricks, which can help the customer implement the changes to start the search engine optimization. 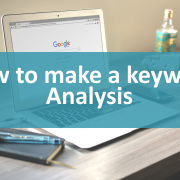 In this guide we will go through how we structure a typical technical SEO report using our own website as an example. The technical SEO report which is referred throughout this guide can be downloaded if you want to follow along in the excel sheet as well. Notice that we have arranged all the categories in the Excel sheet which makes it possible to navigate using the tabs – just like the interface in the Screaming Frog tool. The prerequisite for doing an Excel report like this is primarily exporting the data from the Screaming Frog tool and then deleting the columns, which are not relevant for the analysis. Compared to the picture from the Excel report there are a few more columns pictured here. As we wrote, all columns are carefully analyzed and the ones that do not help inform the customer are deleted. In this case we delete “Content”, “Inlinks” and “Response”. This is done for all the tabs that are included in the Excel report. This category tells us which answer the server provides when a URL is requested. In the 3xx case it tells us that a redirection happens from one URL to another. Again, this category isn’t hurting the search metrics directly but an URL containing parameters can give off a bad impression to the reader. In this category we have an actual factor which can have a huge impact on how search engines rank the website. As always it is a good idea to investigate further, analyzing and putting the data into a context regarding the design of the website. By doing it here it is suddenly quite clear that these duplicate Page Titles appear because of the way the CMS-platform executes searches. From this conclusion we can then decide whether we want to include this tab in our Excel report. However, for the sake of providing an example we have decided to keep, the point being that the errors which the Screaming Frog tool finds are not always relevant for the optimization process. In this category one can find all the URLs that contains a Page Title which is longer than 65 characters/symbols. The point of optimization is here to shorten down the title if possible. On the other hand the point of optimization here is that several URLs contains a Page Title which is shorter than 30 characters or symbols, which allows for more text. 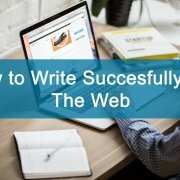 As always the optimization should be taken into context of the website, which means that it is not always a good thing to add more text – it has to add value. The Meta Description is, as the name suggests, a description of what the URL contains. 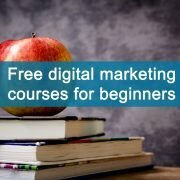 It is a useful category to include as a point of optimization as the Meta Description usually is shown on the SERP along with the Page Title. All Duplicate Meta Descriptions appear in this category. In this case it is again the result of how the CMS executes search queries. The point of optimization here is that more text can be added to the Meta Description of the URL. The takeaway here is once again that one should be cautious not to add unnecessary information. That duplicate H1s exist can potentially be exploited for optimization, as a unique H1 for each URL can help differentiate the website which makes it easier for search engines and readers to gain an understanding of what each URL is about. If the site is already optimized it is usually the CMS-platform or design which causes duplicate H1. All the URL of the pictures missing an alt-text appear here. We recommend adding an alt-text to all pictures on the website, as search engines can’t decipher a picture unless there’s an alt-text describing it. Once the Excel report is finished one can start completing the actual analysis, where all the points of optimization are pointed out, explained and with a recommendation for correcting the issue. This can be seen as an extension of each category from the step above just with additional examples as well as a deeper analysis to ensure that our customer gets the best possible foundation for beginning the optimization process. Furthermore, we create references to the Excel sheet in our analysis which means that the end product consists of several different parts which represent an extensive analysis of the website in question once they are put together into a complete technical SEO report. We hope that you have found this guide useful and that you now have a better understanding of what a technical SEO report consists of. https://jaskovconsult.dk/wp-content/uploads/2017/06/what-is-a-technical-seo-report.jpg 3456 5184 Lasse Munk https://jaskovconsult.dk/wp-content/uploads/2017/12/Jaskov-consult-logo-1.png Lasse Munk2017-06-25 14:20:572018-07-10 16:51:21What is a technical SEO Report?